Communities and causes bond and come together during good times and bad. 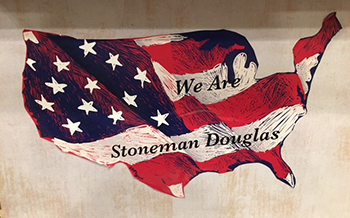 In the wake of the Stoneman Douglas High School mass shooting in Parkland, Fla. on February 14, 2018, the families, faculty, students and residents were devastated by violence. Quickly following the tragedy, many were moved to action. 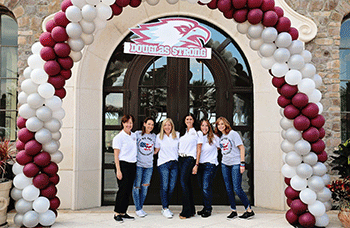 This is the story of the We Are Stoneman Douglas fundraiser and how a group of committed individuals helped foster healing, through fundraising. 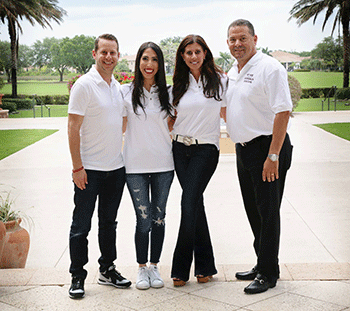 At Parkland Country Club, located three miles from Stoneman Douglas High School, club members and families are deeply connected with the community and their schools. Three days after the mass shooting, a club member approached the management team about co-sponsoring a charity fundraiser for victims and families. The country club quickly agreed to host the fundraiser, donate the space and labor for the event and work with organizers to secure donations. “We wanted a community event to help everyone heal. 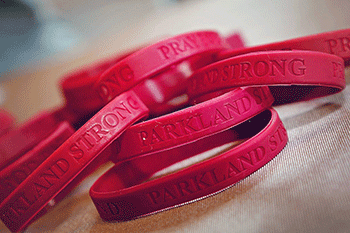 It was a way to come together, take action and raise needed funds for the families,” according to Allie Callahan, Marketing & Membership Director at Parkland Country Club. With event supplies in place, the team turned to fundraising ideas. Item donations were pouring in, so the challenge was to get the most reach and results for the cause. “We wanted to use fundraising technology, but the quotes we received were out of our range,” said Callahan. An event committee member introduced the group to OneCause, which she was familiar with from another nonprofit event. Eric Sparks, OneCause Area Director for Florida, heard about the need and decided to donate his Do-It-Yourself BidPal mobile bidding software to the WSD fundraising efforts. Each OneCause employee is empowered to donate technology to one cause of their choosing annually as part of the company’s Your Cause initiative. This program is a way for the OneCause team to give back to their neighborhoods, communities and personal causes as a full time employee benefit. With OneCause technology in place, the fundraisers had a powerful fundraising tool for maximum results. Within a few short days, the fundraising team had their Giving Center (online website) up and running. “The software is easy to use, so it was really simple to get the Giving Center established and start fundraising,” said Callahan. The goal was to start raising funds before the event by getting auction items online for bidding and selling event tickets. The group went online with OneCause eight days before the event, and within two days, all tickets were sold out and the auction grew from 230 auction items to more than 400 items. “Everyone saw the site, got engaged and wanted to support the cause. People who couldn’t attend the event, because we were sold out, instead bid on auction items or made donations. The response was incredible,” said Callahan. On event night, the fundraiser hosted more than 600 guests. The event team trained volunteers on how to use the OneCause registration software, BidPal mobile bidding (to help guests) and SmartPay checkout. The group also utilized OneCause text messaging and scoreboards to drive bidding and increase supporter participation. “Volunteers were helping people, and everyone was bidding from their phones. It was amazing! We are so thankful to OneCause for the team and technology. 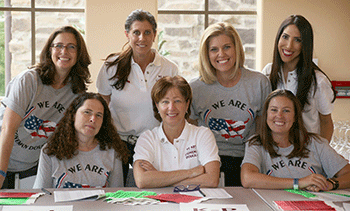 We couldn’t have raised as much as we did without the online and mobile tools,” said Callahan. The event and auction raised more than $264,000 for the Broward Education Foundation, Marjory Stoneman Douglas Victims Fund, far more than anticipated. The funds are earmarked to help the families of those killed, injured, or suffering from post-traumatic disorder because of the shooting. “I’m grateful to work for a company that truly tries to make a difference for the causes people care about. This happened in my community, and to be able to raise funds to help and heal, is a small way to contribute back,” said Sparks. 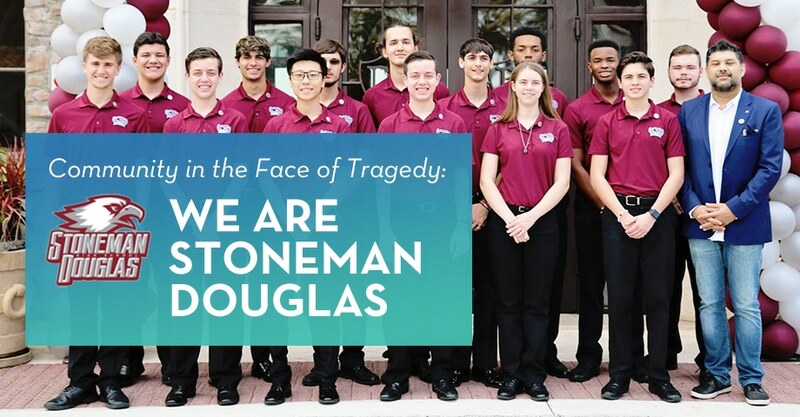 For more information about the Broward County Marjory Stoneman Douglas Fund, visit: https://browardedfoundation.org/stonemandouglasvictimsfund/.